Our Vertical Meal Mixer is constructed of stainless steel, The unit has the magnetic grill at meal inlet for protection and attraction of metal particles from grit flows. Water tank is attached with tubing and valves to add moisture into the Mixing products. The Unit runs on a batch system with loading and unloading on opposite sides. The Unit also includes a screw conveyor to feed blended material to the extruder. All inside welding shall be finished and ground & Polished to mirror finish. the screw begins to rotate and feed, so that material can be lifted up to the material outlet. and starts working again after several minutes later when the material level decreases. 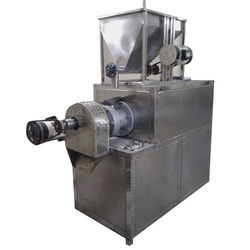 We are providing our esteemed clients, a wide assortment of Corn Puff Extruder Machine, which are manufactured using quality approved raw material and advanced technology by our professionals. This extruder machine is designed by our experts in order to meet the international standard. Keeping in mind the needs of our clients, we provide this machine in various models and other technical specifications. 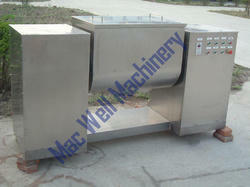 Moreover, clients can avail the offered machine from us at market leading prices. With firm commitment to quality, we are presenting for our clients a vast range of Snacks Flavoring & Seasoning Extruder Machine. This offered roasting drum is manufactured by the experts employing advanced technology to ensure its quality. Our esteemed clients can avail this range in various specifications according to their needs. Owing to its excellent features like rugged design, maintenance free and reliable performance, clients can avail the offered roasting drum from us at market leading prices. We feel proud to introduce ourselves as the foremost manufacturer, exporter, wholesaler and supplier of Raw Material Mixer Machine. 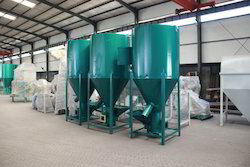 This material mixing machine has good effect on mixing viscosity or cohesion powder. Our provided mixer machine is manufactured and designed using optimum quality components and sophisticated technology at our manufacturing unit. 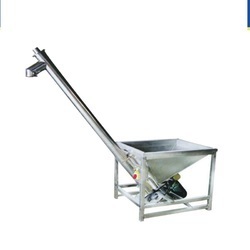 Moreover to this, our provided material mixer machine is highly known for its rigid structure and long working life. Powder-Powder, Powder-Grain, Powder-Liquid, Grain-Grain etc. Motor: Ordinary motor, Explosion-proof motor, Frequency conversion motor. Decelerator: Xseries gear decelerator, Cycloid decelerator, Worm decelerator. Feeding inlet: Standard, Designed as requirement, Manual feeding inlet( with cover). Material: Stainless steel (304 ).